When we hear that we have a terrible illness that will shorten our life, it’s personal. When we learn about the benefits and trade-offs of the tests and procedures that will decide what treatments and medicines may help us, it’s personal. As we make our way through side effects, complications, insurance plans, phone calls, waiting rooms, pharmacies, labs, radiology departments, billing departments, emergency rooms, intensive care units, medical jargon, bad news, good news, family conflict, family meetings, caregivers, nursing homes, physical therapy, occupational therapy, speech therapy, psychotherapy, medication lists, medication interactions, medication errors, advance directives, wills, and the many losses, it’s personal. Our living and dying are not medical. While it’s a natural truth that we all die, the last chapter of life is better centered in our homes and with our families. We want healthcare providers that understand that we are not malfunctioning machines, exploitable consumers, or anything less than people like they are. We want to get the most possible benefit from medical technology and we need help to avoid the many pitfalls of our fragmented and complex healthcare system. And never is this more important than when we or somebody we love needs hospice and palliative medicine, or end of life care. We need guidance, not guidelines. As we face the hardest challenge there is, we want to be seen as we see ourselves…as the people we are with the people that love us. We want to chart our own course on our own terms. ResolutionCare is just such a team of professionals providing such care to people in their homes and sharing this perspective to improve care wherever people with serious illness seek value in our healthcare system. The economics of providing healthcare to those of us with serious illness are changing fast. As a society, we are realizing that “more” is not better. New ways of funding programs like ResolutionCare are being developed across the country to be driven by the value they deliver to people defined by them as satisfaction with their experience and well-being, rather than by the number of encounters or procedures that can be billed. That’s a very hopeful sign of sanity. ResolutionCare is built on the strength of good sense, a great business plan, and a perfect moment as our society is engaged now in an electrified conversation about how care for people who are dying should be provided by the rest of us that are under the illusion that we are not dying. We funded our start-up with an Indiegogo crowdfunding campaign because this project belongs to the more than 1100 people that have died under my care in the last seven years. ResolutionCare belongs to the community of families that understand the value of this work far better than I do. ResolutionCare belongs to my community here in Northern California. ResolutionCare belongs to any and all in this global neighborhood that resonate with our goals and want to join us in bringing respect, kindness, and skills in service to those making their way through the greatest challenge all of us will face. So step in, sign up, and spread the word. ResolutionCare is ready to make as big a difference in the world as we can. At a time of great demographic and cultural change in our society, Dr. Fratkin has created ResolutionCare to insure capable and soulful care of everyone, everywhere as they approach the completion of life. ResolutionCare leverages partnerships with existing healthcare providers and payers to provide telehealth applications that bring greater quality of living and greater quality of dying. The Palliative Care team at ResolutionCare openly shares our expertise and mentorship so people can receive the care they need where they live and on their own terms. Steve received his bachelor’s degree from Occidental College and his MBA from the University of Chicago in Hospital Administration. He has been in the health care field for 35 years, 28 of which have been in consulting with Booz, Allen & Hamilton; Abt Associates; and his own firms—Franey & Associates Consulting, Inc. and Franey, Thompson & Associates, Inc. The range of Steve’s consulting work includes strategic planning, business/innovation start-up and development, clinical integration, governance & organization structuring, organizational development, operations assessment, quality and performance improvement, compensation system modeling and design, leadership development and training, and financial planning. In Steve’s career he has served as a chief operating officer of a hospital, been a chief executive officer of a large multi-specialty clinic, been a nursing home administrator, as well as worked both nationally and internationally. 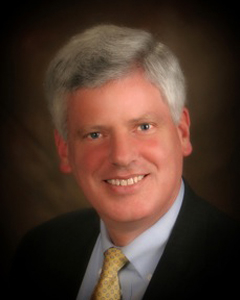 He is a national expert on measuring quality and innovation in End-of-Life/Palliative Care, the past Chairman and current member of the Circle of Life Award Committee, Chair of Martha & Mary Ministries, a member of numerous health care boards, and a frequent conference speaker. Dr. Sand lives and practices in Shasta County California with his wife Patty. He joined ResolutionCare in 2017 following 26 years of practice in Shasta County. 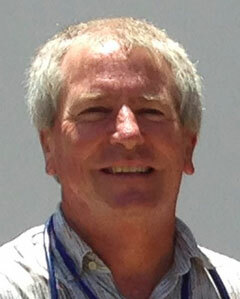 He has been board certified in Hospice and Palliative Care for over 10 years and now works full-time in the specialty. 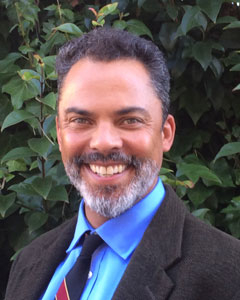 He has special interests in medical education, addiction medicine and rural health care and contributes as a Volunteer Clinical Professor in the Department of Family and Community Medicine at the UC Davis School of Medicine. One of his goals is to bring palliative care services to the rural north state, and he is super excited to be working with ResolutionCare to do this. Dr. Sand has two amazing children, a grand daughter and another on the way! Lynn and her husband Bob Dress have been residents of Greenfield Ranch in Mendocino County since 1972. She is excited to be bringing Palliative Care to the entire community. She loves having conversations with people and families about their wishes and goals, then working with the care team to improve life and reach those goals. Lynn is a gardener, grandmother, watercolor painter and volunteer community organizer. She is on the board of Hearthstone Village, a non profit supporting her 26 daughters at the Reveil Matinal Orphanage in Haiti. Her battery gets charged by spending time on the Ranch and at her home on the Sea of Cortez in Mexico. Lynn graduated from the Stanford University/ Foothill College Physician Assistant Program and the Stanford University /San Jose State University Midwifery Education Program. 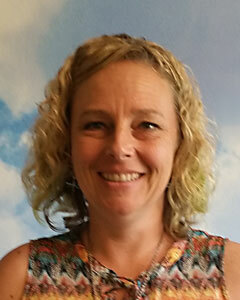 Leanne (Lee) Lynch is ResolutionCare’s Office Synergist: providing clinical, technical, operational, and administrative support to the team and care coordination to people cared for by ResolutionCare. 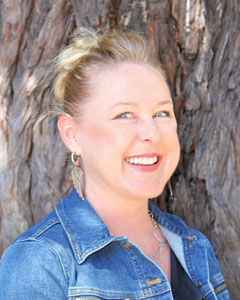 Lee has a Bachelor’s Degree in Geography from California State University Stanislaus and Master’s Degree at Humboldt State University within the Environment & Community Master’s Program. In her spare time, Lee finds joy in backpacking, hiking, gardening, diy projects, crocheting, traveling to new places, and is passionate about sharing the benefits of palliative care. Amy received her BA and Master of Public Policy degrees from the University of Michigan. After serving as a Peace Corps Volunteer in Mali and Paraguay, Amy has enjoyed a career in community health education and is an experienced program leader in both the public and non-profit sectors. She is dedicated to improving our health care system, especially as it touches each of us at the end of life. She is married and has two amazing children, Chloe and Conrad. 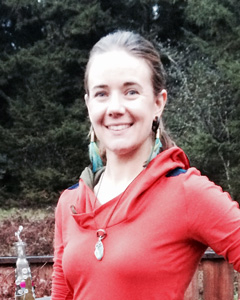 Amy is an avid skier, runner, yogi and reader. 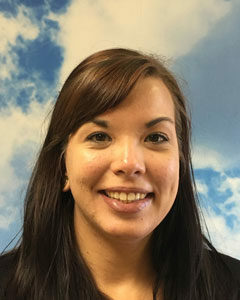 Cheyenne Balsley is Finance Director at ResolutionCare. As a part of the founding team since January 2015, she has been an emerging leader for this groundbreaking, rural-focused and technology enabled home-based palliative care program that has cared for nearly 1000 people and families living with serious illness since our launch. Bringing nearly 20 years running her own successful medical billing business, Cheyenne has developed and oversees all of the claims and billing processes of the organization. She is inspired to share her expertise as a catalyst for sustainable program development to bring more capable and compassionate care to more people and families living with serious illness everywhere. 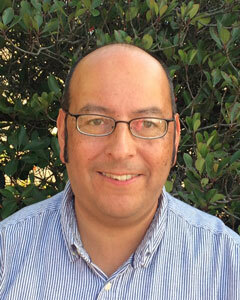 Carl Magruder is our Director of Spiritual Support Services. He is trained as an interfaith chaplain with a Master’s of Divinity degree from Pacific School of Religion. Carl supports all systems of belief, from Atheist to Zoroastrian. Often when physical health issues arise, spiritual well-being is a determinative aspect of our human existence and quality of life. Spiritual support starts with a listening ear and an open heart. It can include meditation, prayer, scripture reading, music, helping to initiate or strengthen ties with local faith groups, grief counseling, meaning-making, or other approaches. 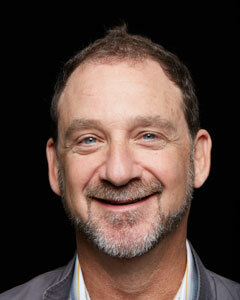 Carl can serve as a sounding board for ethical dilemmas, advance directives, or memorial planning. Carl is a bicyclist, beekeeper, bibliophile, motorcyclist, tinkerer, and fountain pen restorer. He has two kids, aged 7 and 11. He first got interested in studying spirituality during his Master’s Degree at HSU in 2002, and is thrilled that his life journey has led him back to Humboldt County as a part of the team doing pioneering work at Resolution Care. Nikki received her MSW from Portland State University in 2007. She has spent the last nine years working in both urban and rural hospitals and favors a strength based and person/family centered approach. Nikki’s experiences over the years have taught her about the power of medicine, interdisciplinary teamwork, compassion and the resilience of the human spirit. Being a daughter of a midwife and alternative healer, she is honored to step outside of the hospital model and approach a practice that sees the individual and their family through a more holistic lens. 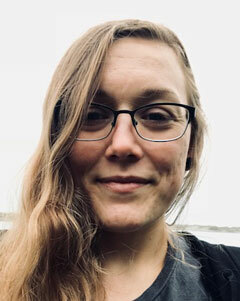 Nikki was raised in the Santa Cruz Mountains and spent 10 years in Portland prior to re-locating to Humboldt County to be a part of a small family homestead. Nikki lives with her husband and her six-year-old twins and is lucky to have both her mother and step-mother right next door. Nikki spends her free time cooking, gardening and thrifting. Nikki is passionate about social justice, advocating for the most vulnerable populations within our community, and inspired by Riot Grrrls everywhere. 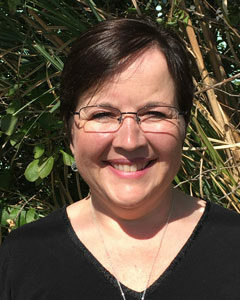 Faith Dayton has been working as a medical social worker since 2013. 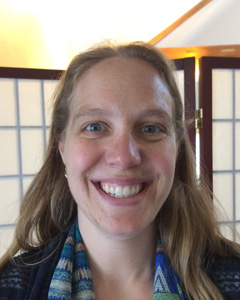 She completed the UCSF Interprofessional Palliative Care Education program in 2018, and has worked in palliative care in both the in-patient and out-patient settings since 2013. 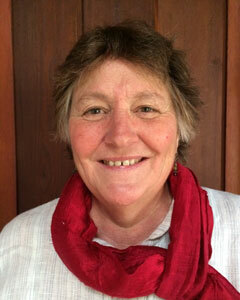 She has completed training in POLST education and advanced care planning, and is literate in medical case management. She has a passion for assisting patients in navigating the difficult health care and social service systems, and empowering them to reach their personal goals. Faith values compassion and social justice. She enjoys helping people and their families in having better quality of life while they confront difficult medical conditions and disease. Why did I want to join the amazing team at ResolutionCare? I have been a nurse for over 6 years working primarily in a hospital setting. I have always loved caring for others but I was starting to feel like I wasn’t making a difference anymore. I have worked with Michael Fratkin, MD throughout my career and had begun talking with him about how I could make the difference that I wanted to again. I loved the idea of working with people and helping them in many different ways that would meet their goals, needs and wants. I was beyond excited when I was offered the job, and I couldn’t wait to begin my new role to help make a true difference. I realize this all sounds selfish but I have lived in this community my whole life and wanted to help others in the community be empowered by healthcare. After working here for over a month, it couldn’t be more clear that I am in the right place. I am able to help others in ways I could not in a hospital setting. I thank everyone at ResolutionCare and the entire community for putting their trust in me. A transplant from the Bay Area, Dana moved to Humboldt County to be close to her aging parents. 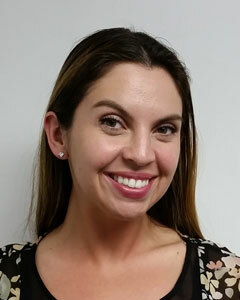 With a degree in psychology and wide range of professional and personal experience, she is excited to bring her unique gifts and talents to her position of Patient Care Coordinator. 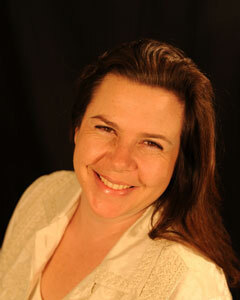 Dana has a compassionate, tender heart and is hopeful to cultivate and strengthen these aspects of herself. She couldn’t be happier to spend the best hours of the day and the best years of her life serving this team. She whole-heartedly believes in the goals and values that this special group of people is fostering and creating. She stands with ResolutionCare as it brings amazing resources to our community while educating and being an example to others. Outside of work, Dana enjoys music and dance foremost! She continues to learn and practice drums while enjoying the transformative effects of listening to great music. She is fascinated with the topics of metaphysics, science and philosophy. She also enjoys the outdoors, hiking and yoga, spending time with friends and family. Her cats, Zildjian and Maybe are her sweet four legged companions. Ashley was raised in beautiful Humboldt County and loves the community we live in. She has been interested in nursing and the medical field since high school and has worked in patient care as a caregiver and dietary cook since graduating from Eureka High in 2011. Ashley is fluent in Spanish and feels passionately about helping those in the community that may not have a voice or whose voices may not be heard. She is dedicated to human rights causes and social justice. Her personal mission is to help as many people as possible have the best quality of life she feels we all deserve, while enjoying the beauty we are surrounded by here on the North Coast. 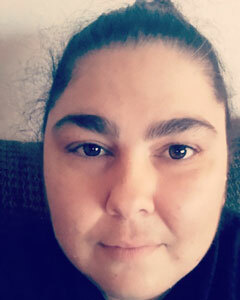 In her spare time Ashley loves exploring with her two children and enjoys the community at her favorite local gym. Jenny has worked in medical case management since 2014. She met Lynn Meadows, PA while working in an inpatient facility, and made the move to coordinating outpatient care because she loved the mission of helping provide palliative care services to her community. 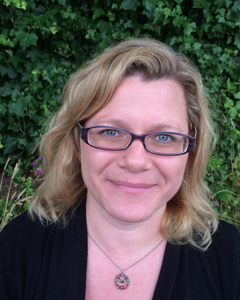 Jenny has a BA in Psychology and is currently in a Masters of Social Work program through Humboldt State University. She loves travel, spending time outdoors with her children, and a good movie. Kathy was born, raised, and raised her own son on the California north coast, the oldest of six girls in a very close family. When her grandmother, herself a retired RN, was struggling with rapidly declining health, Kathy’s family trusted her to move into her home and care for her to the end of her life. That amazing, powerful experience moved Kathy to pursue nursing. She feels fortunate to have worked in skilled nursing, ambulatory medicine and pediatrics. Her heart has always pulled her in the way of palliative medicine, particularly in-home, and she eagerly pursued the opportunity to get to work with the incredible team at ResolutionCare. Using technology to bring the doctor remotely to people in their own homes is fantastic. Working with a loving, talented, multi-faceted team like this to take care of our community and loved ones is a dream come true for this small-town girl. Jona was born in Seattle, Washington, but moved to California with her family as a child and has lived here on the North Coast since. She began her career as a caregiver in 2001, employed as a certified nursing assistant in one of the local skilled nursing facilities. 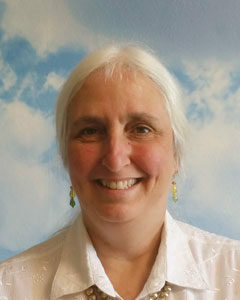 In 2006, she began working with patients and families throughout Humboldt County as an in-home caregiver. She also spent some time as a program aide for the Humboldt Senior Resource Center’s Adult Day Health Services. One of the things she enjoys most about her job is seeing how much people have in common, even though they may come from different places and backgrounds. Jona loves exploring the beautiful outdoors and spending time with family. The time she shares with family and friends is a very important part of her life. For Jona, family is having people in your life that care, support and watch over you, whether biologically related to you or not. As a caregiver when you spend time taking care of someone, you begin to consider them as a part of your family. They depend on you to be there and you depend on them for the emotional bond that you have created with each other. Family crosses all boundaries, all that matters is that you are a part of the support team. Niamh is an experienced, board certified nurse practitioner and clinical leader in hospice, palliative care and community health. She is committed to the delivery of quality palliative care and assisting healthcare organizations to deliver specialist level care through program development, compliance, and clinical education. Since 2008, she has been a consultant working with numerous hospice and palliative care organizations to achieve program development goals, conduct clinical program evaluations for mergers and acquisitions, and respond to regulatory compliance challenges. 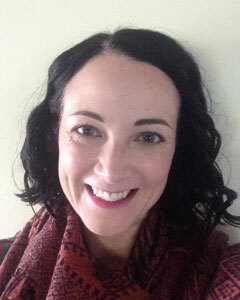 Niamh is a graduate of Columbia University’s Nurse Practitioner program and is currently pursuing a PhD in nursing education. She has certifications as an adult nurse practitioner in oncology and in hospice and palliative care. 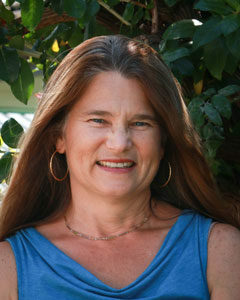 Lauri received her BSN from Humboldt State University in Arcata, California, in 1991. Since graduating she has nursed in hospitals, clinics and homes. No matter the setting, she practices in Transformational Nursing, where each encounter leads to change and growth for both the nurse and the patient. This is her heart and passion. For Lauri, nursing is a lifestyle. Whether she is changing a dressing, discussing advance care planning and choices or turning the compost pile in the garden, she tries to bring her whole presence into making that experience as full and compassionate as possible. Lauri’s interest in whole person palliative care predates her nursing career, as she has long sought to understand the why of suffering and the incredible resiliency of the human soul. Besides her BSN she is board certified in holistic nursing and has completed the City of Hope’s End of Life Nursing Education Consortium training (ELNEC). Lauri is a founding member of Two Rivers Community Care Group, a volunteer hospice serving the Highway 36 corridor, and has a special passion for bringing palliative care to rural underserved areas. For quiet time she loves hanging out on the wonderful deck of the wonderful home her husband is building them up in the mountains. Lauri writes a little, reads a lot, gardens some and spends time with her two sweet grandgirls, cat, and dog. As with every human, she works on maintaining Joy, Gratitude and Practicing Forgiveness. 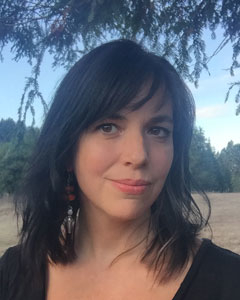 Lisa was born in Oregon, but raised in Del Norte County from a very early age. She owned her own business for many years until her husband Brian was diagnosed with a rare, aggressive form of lymphoma. It was through this illness that Lisa was introduced to the amazing group of people at ResolutionCare. The services and support that ResolutionCare provided led Lisa to her calling in life. Upon her husband’s passing, Lisa enrolled in school and became a CNA. Immediately upon graduation she accepted a position with ResolutionCare. Lisa’s main goal is comfort, compassion and kindness for her patients in their most difficult time. 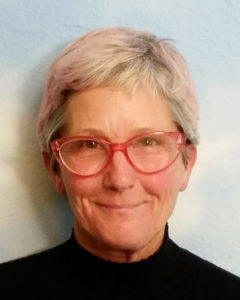 When Lisa isn’t working you can find her hiking the trails through Northern California’s magnificent redwood forests or reading books about spiritual guidance and personal growth. She loves playing with her grandchildren and two feisty dogs. Allison (Allie) was born and raised in Long Beach, CA. She moved to Humboldt County in 2014 to attend Humboldt State University (HSU). Allie graduated from HSU with a BA in Social Work and a minor in Psychology in 2016. Allie then completed HSU’s Advance Standing Masters program and received a Masters Degree in Social Work in 2017. 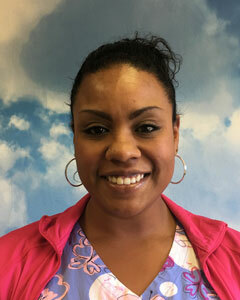 Allie is currently a registered Associate Clinical Social Worker, working to become a Licensed Clinical Social Worker. Allie spent the start of her career working with children, youth and families. She worked for a local non-profit foster family agency for over 3 years. Allie is passionate about social justice, social change and advocacy. She believes in working from a holistic/person-centered, strengths based, harm reduction approach. Allie is excited for the opportunity to bring her unique skills and experiences to the field of Palliative Care and to be a part of the amazing and passionate ResolutionCare interdisciplinary team. Allie lives in Kneeland, CA with her partner David, step-son Harrison, dogs Annie and Teagen, and cat Terrance. 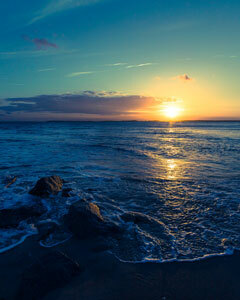 After moving to Humboldt County, Allie fell in love with the Redwood Coast. She spends her free time exploring the beaches, rivers, and forest with her family. She enjoys reading, music, being with her dogs, home improvement projects, yoga/meditation, gardening … did we mention her dogs? Bringing capable and compassionate care to everyone everywhere in the face of serious illness.